As a nurse of 40 years, Ms. Thieman, CSP, CPAE is supremely qualified as motivational speaker and seminar leader. She helps many professionals cope with challenges they face, including burnout, stress, generational differences, and imbalance between work and personal life. 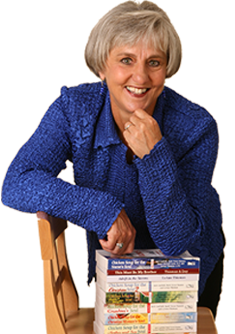 Recounting her daring adventure of rescuing babies at the end of the Vietnam War, she gives individuals tools to cope in their “war zones” and, in the end, makes them the heroes for their compassionate service. In her poignant, yet humorous keynotes and workshops, LeAnn uses fantastic stories and photos from the Vietnam Orphan Airlift to motivate audiences. Ms Thieman will present “Balancing Life in Your “War Zone” to the 2016 conference participants.